This skillfully built pod by Anthony Wilson combines Technic panels with system elements to create a stylish vehicle that would look equally at home deep underwater, as it would in space. One of my favorite details is the gently curving collection of steering handlebars peeking out behind the cockpit. 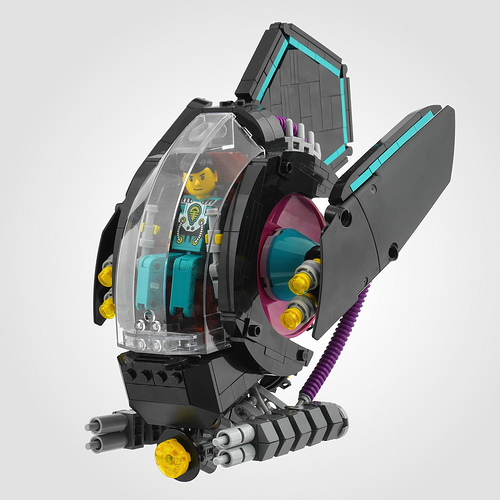 Bright colored trim and tubes also lend a Tron vibe to this single pilot pod. And speaking of pilots, I tip my hat to Anthony for the excellent condition of his Technic figure which is 20 years old, but looks like he’s fresh off the assembly line.